This is the most important reason. The game mechanics of Foursquare make it enjoyable to go places and rack up points, badges, and Mayorships, no matter how worthless they all are. I have so far accumulated 56 badges, and I’m currently the Mayor of 10 different places — including my local supermarket, two clothing stores, and the takeout place I go to most Friday nights. Somehow, I’m even the Mayor of a bakery in New York. There’s no benefit to being the Mayor at any of those places, but oh well. It always makes me smile when I become the Mayor somewhere, and I feel (in a very small way) deflated when I’m ousted. Also fun is the idea of “marking your territory,” as my friend Loren described it recently. Checking in everywhere is like a way of saying “I was here,” especially if you travel a lot. And the more you check in, the more likely it is that you’ll discover random places that others have created that you can visit and check in to. Checking in often will earn you more points, which is good if you’re like me and you “compete” with friends about who has the most. The points change daily (they’re for the last seven days), so I can be on top one day and drop a few levels the next. There are a couple folks in particular, and we often give each other a hard time about the standings. It’s all just silly, meaningless fun. 2. Sometimes there are perks. 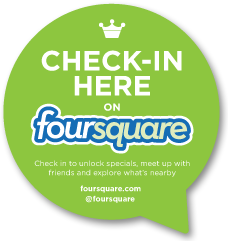 While checking in can be fun, simply being Mayor or getting a couple points is not enough of a perk to make using Foursquare totally worth it. One of my biggest gripes about Foursquare is that not enough businesses take advantage of the opportunity to reward their loyal customers. But some businesses do, and they make checking in more worthwhile. At the Village Tavern, I’ve received a free appetizer when I’ve checked in. Old Navy recently told me I’d get $10 off a purchase of $50 or more (they’ve also offered free music downloads). Ben & Jerry’s has offered three scoops for $3, free waffle cones with the purchase of two scoops, and other perks. And many smaller businesses are getting in on the act too. Thanks to a partnership with American Express, you can get deals such as a $5 credit when you spend $10 or more. (You’ve gotta have an AmEx card, though.) And thanks to integrations with Groupon, LivingSocial, and others, I’ve received discounts on meals at multiple restaurants. For the record, it’s not just free stuff or money back that businesses have offered. In celebration of its 100th birthday, L.L.Bean made a donation to the National Park Foundation every time someone checked in at one of their stores. 3. I like to share. For some odd reason, I like telling people where I am. 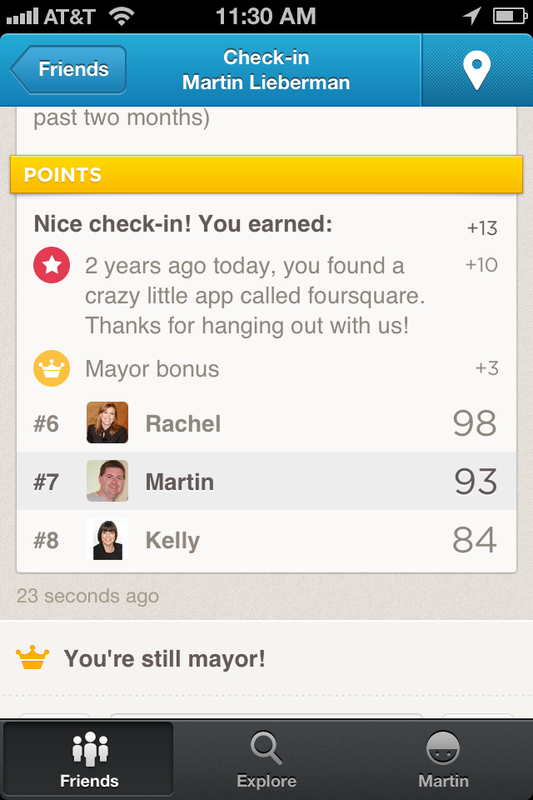 That said, I tend to go to the same places over and over; anyone who is connected with me on Foursquare can see that. Because I use my own internal filter, I know no one needs or wants to see me check in to Finagle a Bagel every Saturday, Star Market multiple times a week, or worse, my “office” every day. That’s boring, and after all, oversharing your check-ins on Facebook is a definite no-no. So I keep all those check-ins contained to just the app. But when I go somewhere notable, or a place I’m particularly loyal to, I like broadcasting that beyond the app, on Facebook and/or Twitter. And I’ll broadcast what I’m eating there or buying or doing or seeing too. If I become Mayor, that’s automatically shared. And if I get a perk, that’s something I’ll share too. 4. The app has gotten better. Over the years, Foursquare has improved its app, loosening up the language, brightening up the colors, making photo sharing easier and more prominent, encouraging commenting and the sharing of tips, and helping users discover places nearby that they may be interested in. It’s just a better app now than it was, and even though there’s more to do, it’s still simple to use. Foursquare has beefed up its offerings for businesses as well, making it easier for them to track who is visiting a locale and offer those customers an aforementioned perk. I wish it was more worthwhile to do so, but for now at least, I’m still enjoying the app, so I think I’ll continue to use it. 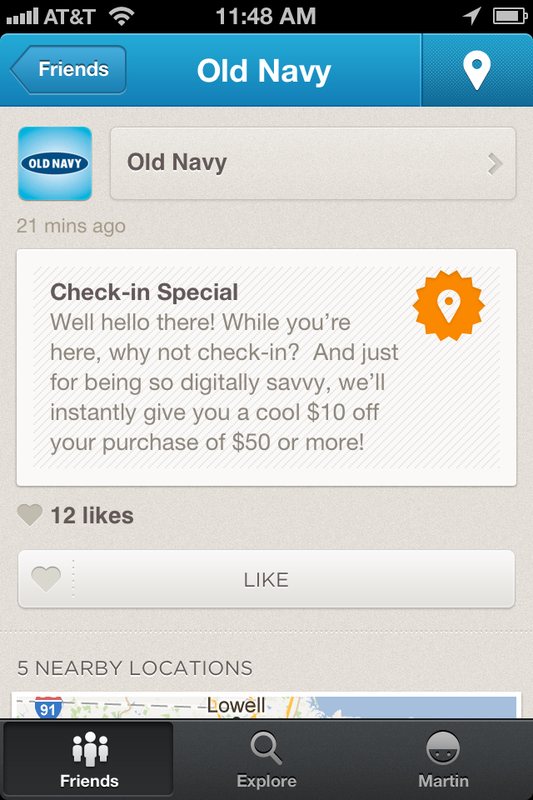 There’s a whole other side to this discussion, and that’s why businesses should be using Foursquare. But that’s a blog post for another day. 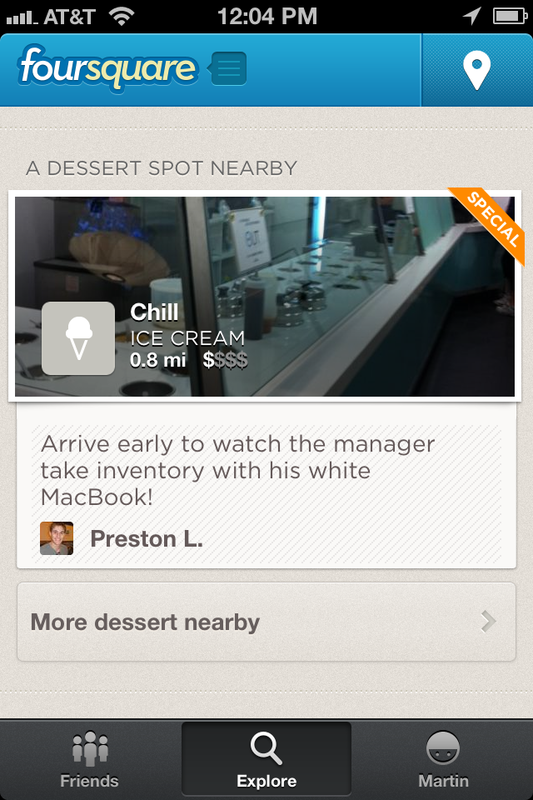 Have you ever used Foursquare, or any other location-based check-in app? Why do you still use it, or why did you stop? Share your thoughts in the comments section below.